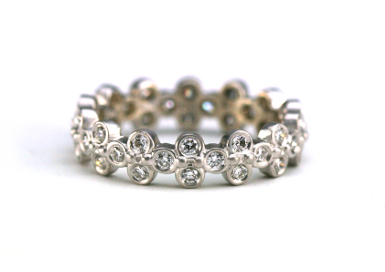 Wear alone or stack this eternity band. For the person who wants something different. Bezel set diamonds. Total weight .95ct.